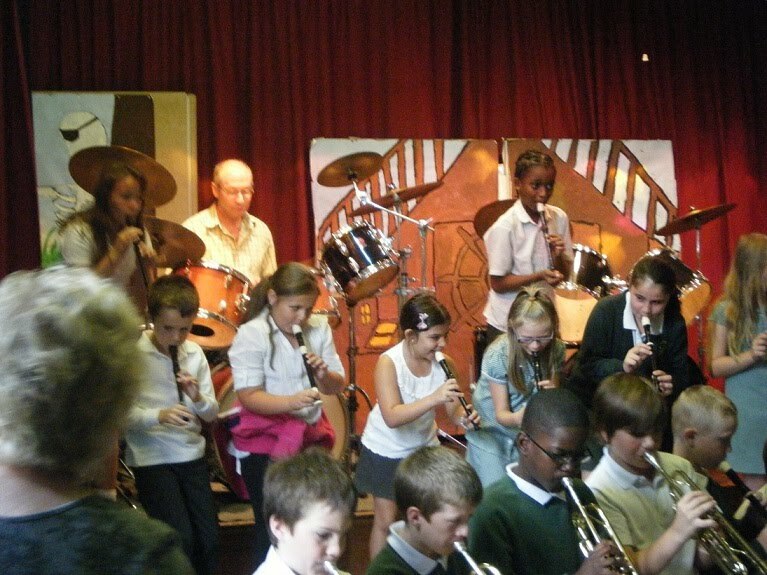 On the 15th July 2010 the school arranged a musical assembly. The school orchestra, accompanied by me, played Don't Stop Believin (Journey) and Jump (Van Halen). But the stars of the show were some of our budding drummers. Nine took part with solo performances and this was their first time as live drummers and they all did just great!!! Take a look over the next 2 screens to some photos and videos.